Cascading folds of fabric surrounding a window bring a luxurious softness to the space. Drapery is a wonderful decorating asset; bright prints can become the focal point of the room, or muted colors can fade into the background while adding texture and dimension to a simple wall. Not all drapes are created equal, however. The quality of the fabric matters, the stiffeners and liners impact how the fabric lies, and the hardware determines how the drapery hangs and moves. 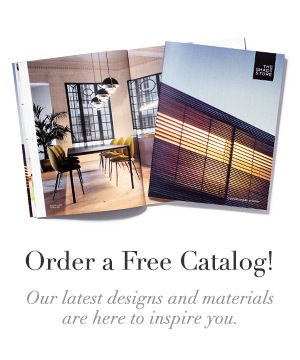 What does it really mean to have custom made drapes from The Shade Store? We’ll tell you. When you place an order for drapery, our workroom will get started on it immediately. 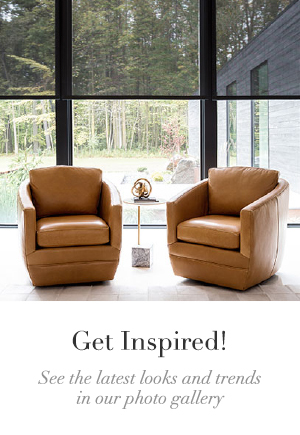 The craftsmen in our workrooms have years of experience bringing to life the unique projects thought up by interior designers. All drapery is handcrafted with an exquisite attention to detail. Many of our drapery styles include hand-sewn corners. Before you receive your order, all draperies are hung and tested to ensure their look and functionality meet our standards of excellence. One size fits all does not apply to our drapery here at The Shade Store. Depending on location and the amount of use, we have different drapery styles well suited for every application. 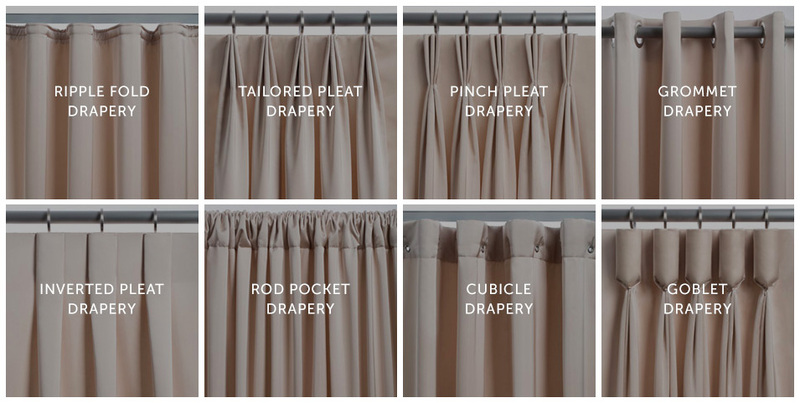 In the photo above, we have featured all eight styles of drapery available. For drapes that will be opened and closed often, Ripple Fold, Tailored Pleat, Pinch Pleat, and Cubicle Drapery are good choices. Sometimes drapes are meant to be purely decorative, and will not experience frequent movement. For a truly rich and sophisticated style, try our Goblet Drapery. For deep folds and a more modern look, Grommet Drapery is your best bet. Inverted Pleat and Rod Pocket Drapery are also exceptional choices for decorative accents. Drapes can be subtle or dramatic, but they always make a statement. 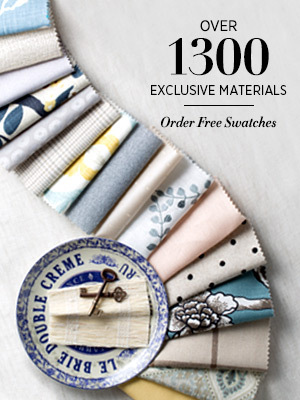 We offer more than 450 materials from classic cottons and linens to designer prints and plaids. Depending on the décor and the purpose of the drapes, interlining (made of cotton flannel), privacy liners, and blackout liners can add body to the fabric as well as help insulate the home. Decorative borders are also available, which can add an appealing color contrast around the drapery edges. Open your home to natural light with sheer drapery fabric works well. Choose from six different sheer materials in solid colors and subtle prints. Our custom made drapery brings the highest quality individual craftsmanship into your home, making it accessible while preserving the striking look only achieved with the best materials and meticulous fabrication. Browse our drapery styles here, or speak to a design expert in one of our showrooms or at 800.754.1455.